4 Bedroom Terraced House For Sale in Beckenham for Asking Price £550,000. 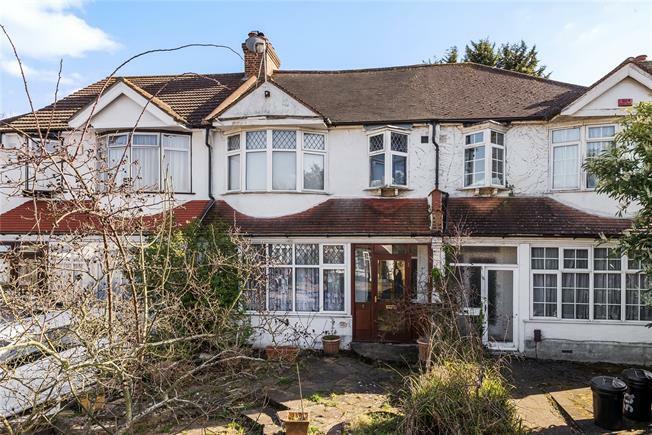 Positioned in a cul-de-sac location and conveniently situated in Langley Park catchments area is this good sized 1930s four bedroom family home. Accommodation comprising of lounge, dining room, kitchen and utility room. Upstairs includes three good sized bedrooms to the first floor and fourth (master) bedroom to the second floor. Other benefits include an approx. 80 ft. rear garden and off-street parking to the front. Located close to Eden Park train station with (regular services to London Bridge, Cannon Street and Charing Cross train stations). Offered with no onward chain.